I want to acknowledge Broncolor Canada, for making this kit available to me for review. It's a big step, and demonstrates confidence in the quality of the product that they represent. Their confidence is well founded as the Siros L is a wonderful product. I was familiar with the Broncolor Siros product having done a review earlier in 2016. It's a great product and like many monolights, very powerful, but bound to an AC outlet or secondary power source. 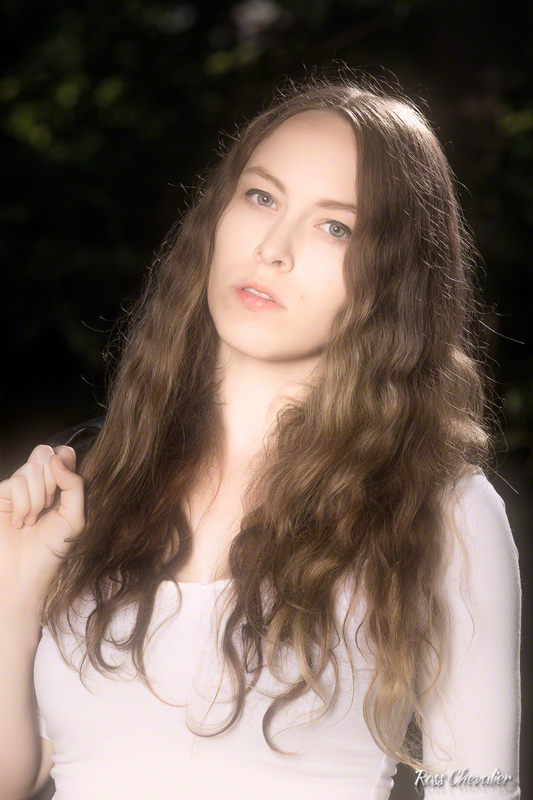 Shortly after, Broncolor started shipping the Siros L in volume and Broncolor was able to get a kit to me for review. I had some specific projects in mind that would need beautiful light, with lots of power, controlled by radio and that could be used in the great outdoors, far from an outlet or a portable generator. That's the Siros L story in a nutshell. Lots of power first off. There are a few excellent battery powered studio grade strobes on the market, and the majority top out at 500ws. That's nothing to sneeze at, but the answer to the "how much power do you need?" question is always "all of it." The Siros L heads come in a 400ws and an 800ws version. The kit I had contained one of each. The heads look identical, with the exception that the 800ws version is longer by about two inches. All other controls are identical, so if you know one, you know them all. The heads arrived in a rolling backpack case of excellent construction. You could get it in an airline overhead on a regular jet. The wheels are large enough that it rolls easily and the back of the pack has armour to protect it if you do the bounce thing up and down stairs. Don't do that. Also in the backpack were a charger, two battery packs (same pack for both lights hoorah! ), an 85cm Broncolor silver umbrella, a 60cm square Broncolor softbox with inner and outer diffuser, some cables and an RFS 2.1 radio transmitter. Please note that this configuration is not shown on Broncolor's web site. There the options are a pair of 400ws or a pair of 800ws lights, with the RFS 2.1 as a separate offering. I tend to read documentation first, so I scanned the simple and clear docs while topping up the batteries. Once the batteries were charged I was making good exposures in under five minutes. There are only four buttons on the remote and while it is not completely simple in User Interface, you master it after reading the instructions once. Setting the lights up on the same Studio (channel) but into two different Lamp settings (groups) was a piece of cake and I never had to go to the lights themselves to make changes in power. You can make changes at the lights if you wish to, and some settings can only be made at the lights. The back of the Siros L is dominated by a large aluminum knob that is also a push button. Through this one control you can make your channel, group, WiFi and other settings quickly and easily. As on the original Siros, the Siros L can generate its own WiFi network or through firmware participate in your Enterprise WiFi network. I only used the built in WiFi for my testing, mostly because I was outside for most of the work. The WiFi allows you to use the free bronControl app to control the lights from your smart device. I use an iPhone and that's what I tested. There were issues, that I will talk about later on, but they weren't Broncolor issues. Apple's App Store can be a pain sometimes. The Siros L monolights are shaped like a tube as you will see in the supporting images. This clean and simple design is really quite elegant. The flashtube is protected by a glass dome, with a diffused front panel, and there is a standard reflector that attaches to the Broncolor bayonet included with each light. Broncolor takes a very smart approach to light shapers. The bayonet mount has two lugs, a long and a short. Once a light shaper is mounted, it rotates freely allowing you to orient it at whatever angle you like. No big deal with a simple reflector but super easy to use with a long tall stripbox. At first I thought I was missing a locking element, then the light (pun intended) dawned and now I want this functionality on all strobes. When the reflector is mounted, it is the same diameter as the light itself keeping the lines lovely and still providing a good coverage model. There is a slot for an umbrella shaft built into the stand mount on each monolight. There is also a shaft stop on the mount so you don't drive the umbrella back into the head. Both the 400L and the 800L use the same battery pack. I find this to be very convenient. The charger is a classic brick charger with a single LED, green when charged, amber while charging. The battery has a three LED status indicator activated by pushing a button. The battery is rated for 220 flashes on the 800L and 440 on the 400L. I pushed the 800L very hard in my tests, and at the end of the first project test at just over 150 pops was still showing two LEDs on check. I did use the 400L with the umbrella and the softbox. The talent was finished long before the light got anywhere near close to one LED remaining. Each unit incorporates an LED modelling light of 25w output and colour temperature of 3000K. Despite the low number, the LED is very bright and I was able to see the effect of a Para 133 in daylight using the modelling light as a positioning aid. I would not recommend leaving the light on all the time as doing so will have a deleterious effect on battery life. Both heads have cooling fans built in, and the fans are more likely to be running when the modelling lights are on. The lights have a colour temperature rating of 5500K. On the Canon 1Dx Mark II, using Flash White Balance, the RAWs looked a bit cool in Lightroom. Shooting RAW made this a no brainer fix. My shooting partner Isabel shot with the Nikon D4s and was pleased with the image out of camera, and my own tests using a Nikon D5 that I happened to have in studio for an evaluation and review produced a lovely result out of camera with the typical warmth in flash WB. I discovered the reason why the Canon images were cool, after the fact and was able to fix that in further tests.. The 400L has a range of flash durations from lowest output to highest of 1/6400 to 1/400. The 800L has a range of flash durations from lowest output of 1/4400 to 1/250. This is a pretty decent range in a general purpose monolight. In all my tests, I kept my camera shutter speed at 1/200 or less and never experienced any issues. Experienced pros will know that sometimes your camera's flash sync speed can be too fast for strobes on a radio. I make this shutter speed decision up front and have not been disappointed. The back of the head has the aforementioned large rotary knob. The bottom half has a set of illuminated indicators for different settings. In the top half are the TEST and MOD/ECO buttons. Test fires the flash, pressing MOD/ECO turns the modelling light on and off, while holding it for about four seconds engages ECO mode. Above the rotary knob is a large bright LCD display that shows the output level. As with all monolights, it's a relative number. On the Siros L there is an effective range of 9 full stops. Thus, each slow click of the rotary wheel is stated to be 1/10 of a stop and each fast click one full stop. As I was using a flash meter for one of my projects I made changes based on this and did not find that 1/10 stop per click to be consistent. Not badly out, but requiring some tuning. One of the head settings that I used most of the time is ECO mode, which is designed to maximize battery life. The only downside to ECO mode is that flash recharding will take a little bit longer. I did not miss any shots, even while working quickly in ECO mode. Another very useful setting is the SPEED setting. This tells the monolight to do what it takes to give you the shortest possible flash duration. Choosing speed may introduce a minor blue shift, and this accounted for why I saw the shots from the 1Dx Mark II as being a bit cool. From a triggering perspective, the monolights can be fired via the included sync cable, via the built in RFS 2.1 receiver (you need to buy the transmitter separately) or as plain old slaves via the built in photocell. In my testing, I had no cause to use them in pure slave mode, but that's about as simple as one can go so I am not concerned. The apps is called Bron Control and it works very well. The WiFi is very simple to use. In the private mode, the units participate in a private network, and you connect your smartphone to it. Then you use the bronControl app on your device, that is available for iOS and Android to control the monolight settings. I live in Canada, and fortunately still had a copy of the bronControl app in a backup because when I went to the Apple App Store for Canada, I got a notice that the app was not available in my country. It had been before, but I have seen this kind of idiocy on the App Store before and have a few workarounds. Since I still had a backup of the app, I put it on my phone and things worked well. The app is much more intuitive than the RFS 2.1 trigger and of course, easier to read. Each Lamp (group) changes the colour of the "cognition" LED on the top rear of the unit when you are interacting with it, making it easy to see at a glance that you are in fact controlling the monolight that you want to control. The app UI is very clean and easy to use. All camera manufacturers should look at bronControl to see what good UI looks like. I found in some of my testing that there was a measurable delay between making a change on the smartphone and the change happening on the Siros L. I had not experienced any delays with the app working on the original Siros but I know that the app was updated since I first got it and due to the Apple App Store silliness, I could not get the most current version. The power button for the monolight is on the underside of the tube, out of the way and behind the stand mount. If I were to suggest an upgrade to Broncolor, it would be to change the switch to something with a much heavier touch, as I managed to turn lights off and one when adjusting the stand mount by accident on numerous occasions. That, or put a simple sliding or flip down cover over the switch to prevent inadvertently changing the power state. The RFS 2.1 is nice and compact. It uses a coin type Lithium battery called a CR2450. This is not a common battery so I recommend carrying spares. Note that there is no on/off switch on the transmitter. I recommend getting into the habit of pulling the battery when the transmitter is not in use. There are four buttons on the unit and a small LCD display. The buttons are TEST, SET and two arrows, one UP and one DOWN. The documentation is well written and while the unit is not so intuitive itself, reading the docs makes it simple to use very quickly. It should be noted that the RFS 2.1 works as both a transmitter and a receiver for those systems without a receiver built in. You need one receiver for each light to be controlled, but as noted above, Siros system lights have receivers built in. Once I was familiar with the system, it was time to load up the truck and head out to the woods with Isabel and our model Chelsea. The lights performed as well as I could possibly have hoped, delivering consistency in output and colour over the course of a two hour shoot. All the images for that project were made using the Broncolor Para 133 light shaper, an amazing device covered fully in a separate review. I used both monolights, the 800L for my key into the Para and the 400L as the hair/rim light. The radio worked every time despite being near to a hydro tower passway and plenty of cellular noise from a tower about 2km away. The beauty of radio is that it is not line of sight, so placing the monolights was never a concern, because I knew that they would go off when the shutter button was pressed. The backpack made transport of the lights extremely easy and convenient, and you want that when you are dragging big lights into the field. In fact the heaviest thing we had to deal with was the large steel stand I was using for the Para. Compared to that, the light kit is super lightweight. The next test was in the studio, working with Isabel's son Aaron. He's a nice fellow with a good look. While I shot him with the Para 133, I also pulled used the umbrella and the softbox that came in the kit. These were single light shots, with no reflectors used, not because I didn't have them, but because I wanted to see the character of the light the way a kit buyer might see it on the first go around. 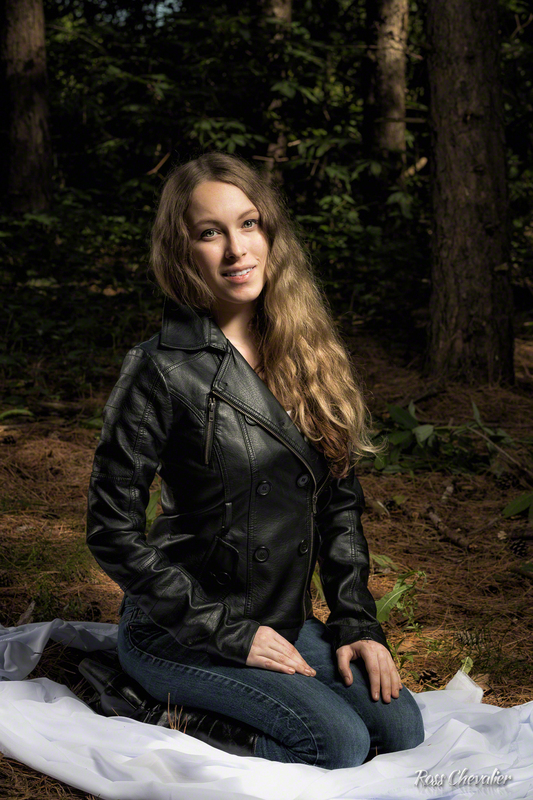 I find that the Broncolor light shapers have a lot of snap, with good spread and no hot spotting. These are both on the smaller end of what I would typically use so I pulled them in tight for more softness. I think that both light shapers are very nice in terms of light quality and while the umbrella is fastest for up and down, I preferred the softbox because it recesses the front diffuser to make feathering light very easy and very controlled. The speedring is easy to use and features colour coding for folks new to the rod in hole mode of operation. I will talk about the Para 133 separately, but it goes up and down like a big umbrella and is definitely my new favourite light shaper, especially when you have lots of power to throw at it. Studio strobes whether AC or Battery seem to come in three flavours. There are the "feature" rich units of low price and dubious quality and reliability from southeast Asia, the middle of the road systems with decent to very good lights that may be missing some key functionality or modifier choice and the professional gear that services top creatives, top studios and those with the wherewithal and aspirations to achieve. The Siros L 800 Outdoor Kit with two heads, two batteries, a charger, 60cm softbox and 85cm umbrella in the trolley backpack case retails where I live for $6957 CADThe RFS 2.1 transmitter retails for $308 CAD. This is pro gear and is priced accordingly. That said, there are good reasons why there are still lots of 20+ year old Broncolor units still in service and why Broncolor is a top choice of global rental houses. It's conceivable that such an investment is more than many aspiring photographers can afford. To those nice folks, I would suggest renting. You are likely to be better off in the long term than in spending good money on passable gear just so you can own it. At the same time, I meet lots of photographers with a couple of camera bodies and five or six lenses, value well over that of a Broncolor kit so perhaps the investment is more about thinking long term. It's your money, you decide. The Broncolor Siros L monolights are superb. They are indeed manual output only, no TTL or other sensor based system here. For pros, and aspiring pros willing to spend a bit of time learning, this is no issue at all. The colour and quality of the light is superb, even with only the L40 reflector. There are a ton of light shaping tools available to fit and the batteries make them usable anywhere I could need them. I got all the pops I needed from a single battery, and carrying spares is not going to be a giant burden. They are big enough to be sturdy and easy to manipulate and not so big as to be a pain to handle. The radio system eliminates wiring for me to trip over, and I assure you, if there is something for me to trip over, I will do so. Light shapers mount fast and easy. The flash tubes are well protected by the cylindrical glass domes, and the front of the dome is diffused. The flash tubes themselves are user replaceable. I loved working with the Siros L system. It's not cheap in any way, shape or form, but you will see the return on investment by buying the right lights the first time, and knowing that the company behind them has been around a long time, well over 50 years, and have got this lighting thing pretty well nailed up. I've worked with my shooting partner Isabel for a few years now, and I can say that this is the first time she has called me after a shoot (the Para project) to say she has never seen light this good.